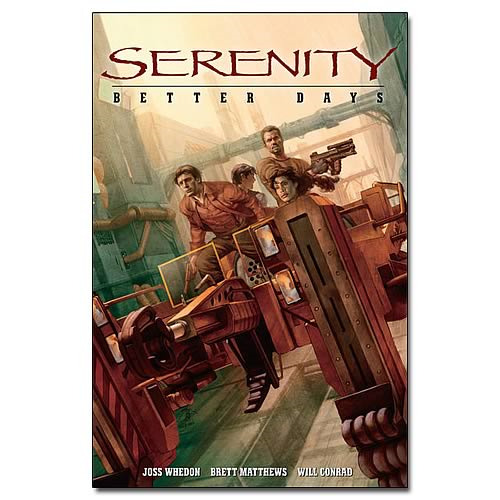 Serenity Better Days Graphic Novel. Serenity: Better Days follows everyone's favorite space cowboys in a thrilling, action-packed adventure, where Mal and his crew take on a heist that promises a big payoff. But when one of Serenity's crew is taken captive and tortured, the gang must put their enduring differences aside and work together to save one of their own, even if it may mean losing the cash prize of a lifetime. 80 pages.